There’s a new player in town: Field59 v4. 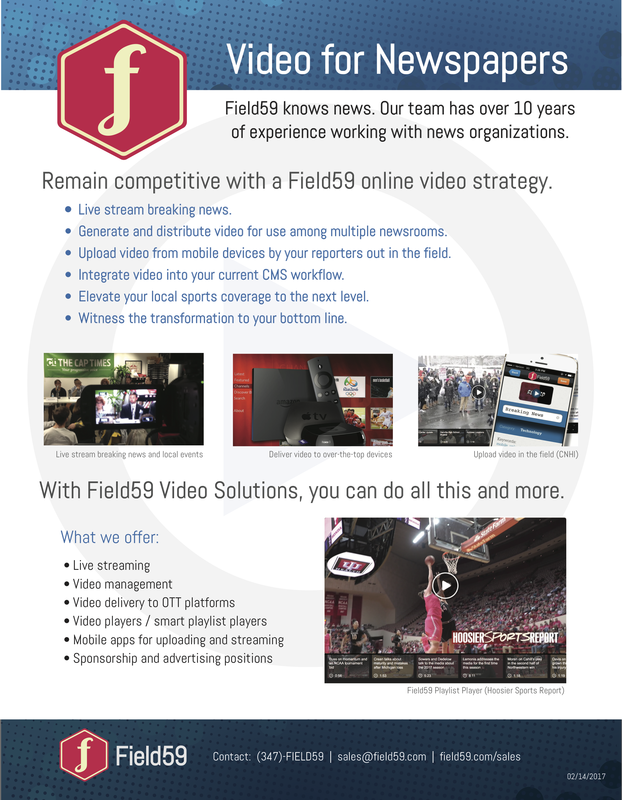 Field59 is pleased to announce our new player, v4. This custom-built version of the open-source Flowplayer, updates the technology running “under the hood”, streamlining configurations and adding new features. Let’s take a look at what’s new in v4. We’ve added a new configuration in v4 called Polite Play, which allows you to configure a player to autoplay on mute. A viewer then has the option to un-mute this default. If Polite Play is enabled and has a DFP pre-roll advertisement, the pre-roll will also begin on mute. You can select Polite Play by activating Auto Play in the Player Options. For an example of Polite Play, check out the player for “Cook This“, a cooking show on the Bucks County Courier Times website. The Field59 v4 player has improved the interface of the thumbnail strip display for playlist players. The scroll bars have been removed, and have been replaced by arrows on the left/right or top/bottom; depending on the playlist player configuration (below or to the right of the player). This large thumbnail display provides an improved experience on mobile devices, and playlist thumbnails now resize responsively. 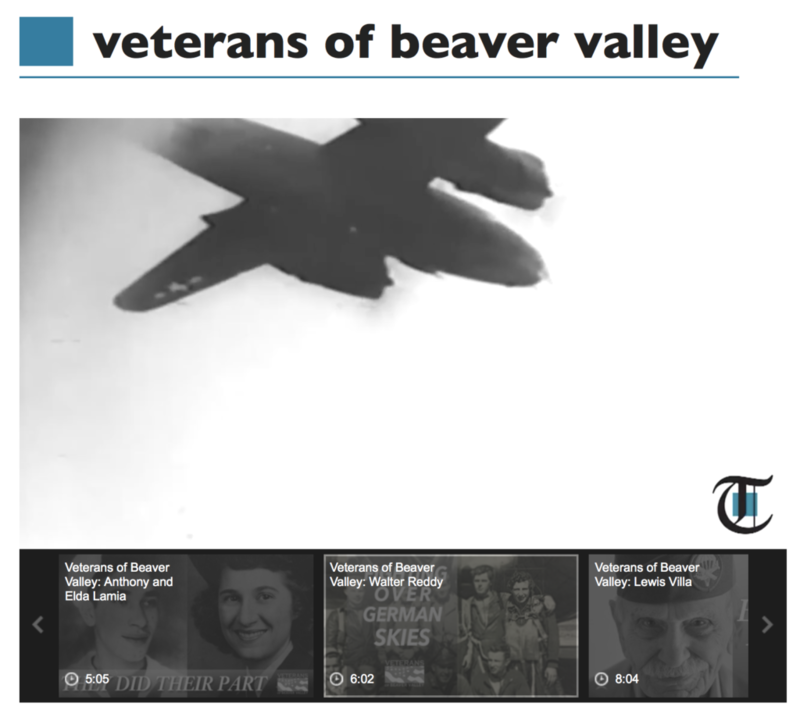 For an example of what the updated thumbnail strip display looks like, check out this excellent series “The Veterans of Beaver Valley” from the Beaver County Times. An example of the new playlist thumbnail strip display on Beaver County Times’ website. We’ve also taken the opportunity to streamline a few player configurations. Now, responsive design is automatic for all v4 players, so we’ve removed the previously configurable option. This also means that the Width and Height configuration is no longer needed, and has also been removed for v4. (In a situation where it’s desired for a responsive player not to exceed a certain size, users can still use Width and Height Max.) We’ve also removed the Aspect configuration from v4. All players are now 16:9 aspect ratio by default. Finally, we’ve removed three little-used configurations: Auto Hide controls, Disable Inline Styles, and Colors. See our Custom Players article in the Knowledge Base for a full list of available configurations. Field59 v4 sounds great! What do I need to do? To have your account configured to start using v4, please submit a ticket to our online support portal, and we’ll be happy to activate the change. Some customers, particularly those using the TownNews BLOX CMS, have already had their accounts updated. The BLOX importer tool is already generating v4 embed codes for you. (Older videos that are v3 will continue to play too!). If you are distributing content to Smart Playlists on your website, you may wish to update those instances from v3 to v4 (though we will continue to support v3 here as well). If you have integrations with other content management systems or other templates on your website that are automatically building embed codes, you may want to make the update from v3 to v4. In rare cases, some customers who have been using our platform dating back to our Broadcast Interactive Media days may have “v2” embed codes — please submit a ticket so we can make sure you’re up-to-date! Looking ahead, we’re focused on continuing to add functionality to the HTML5 player. Although there are still a variety of situations in which a flash player is desirable (and/or having a flash fallback player behind the HTML5 player), as browsers and the wider Internet as a whole are moving away from Flash, we know that HTML5 is where all player development efforts should be. The new v4 player resolves an issue where mobile devices would frequently experience a delay in a pre-roll starting that resulted in the video beginning playback for a few seconds, then being interrupted by the pre-roll. The new v4 player resolves sporadic behavior we had observed, where after watching a few videos in a playlist, pre-roll playback would become inconsistent.